The Dow Chemical Company has announced the appointment of new regional leaders in Asia Pacific. Pat Dawson, President, Dow Asia Pacific, has been named Senior Vice President for Dow Global Epoxy Business and Corporate Project Development; Peter Sykes, President, Dow Greater China, will assume the role of President, Dow Asia Pacific; and Peter Wong, Asia Pacific Commercial Vice President for Packaging & Specialty Plastics, will now serve as President, Dow Greater China. The transition will be completed in the coming one to two months. “Dow in Asia Pacific is focused on providing high-value, innovative, and sustainable solutions through our business portfolio strategy to meet local market and customer needs, and in turn rewarding our shareholders. 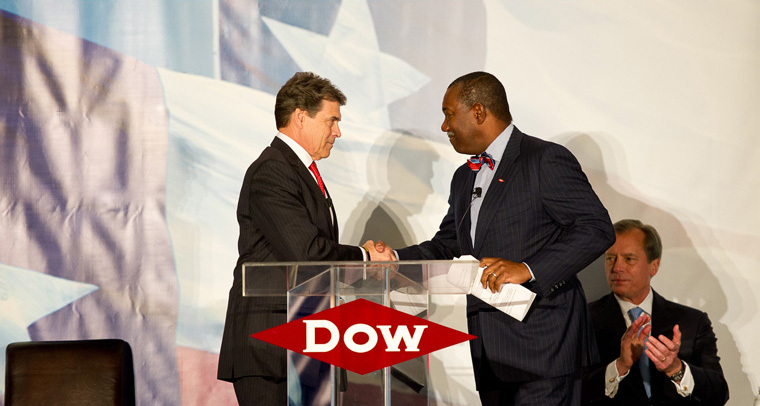 We are confident that this new leadership team will continue to drive this growth strategy and bring further commercial success for Dow,” said Andrew N. Liveris, Dow Chairman and CEO. Asia Pacific represents a major growth region for Dow. Since 2008, Dow Asia Pacific has doubled its number of plants and employees, with the region’s revenue increasing from US$6.2 billion to US$10.2 billion in 2012, and now making up 18% of Dow’s global sales. In the past year, Dow has continued to expand its regional coverage, including office openings in Chengdu and Harbin in China, and new manufacturing facilities in Vietnam, Thailand, China, and Korea.